Tonight I saw a music video that plays annually on a local news broadcast in New Orleans this time of year, and it brought back to memory a departed musician from my past. The late Harry Ravain was a “musician’s musician.” A veteran drummer with a great enthusiasm for his craft and for other musicians, Harry was to music what actor Kevin Bacon was to the movies – he had a connection to most every musician who ever passed through the Crescent City, and was respected and beloved by them all. 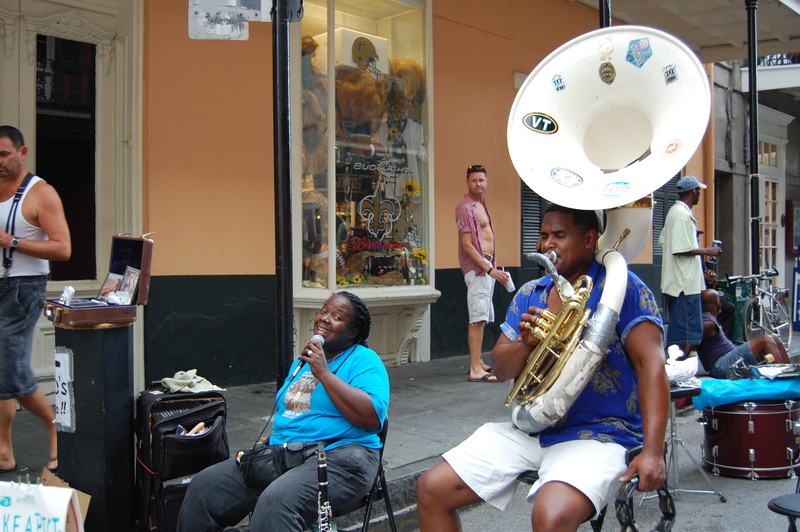 For the last dozen or so years of his life, Harry played with Benny Grunch and the Bunch, a legendary New Orleans band known for their colloquial tunes that pay tribute to nuances of life in the Crescent City. In 2006 I started on a quest to realize a lifetime dream and finally record a music CD (one of my “bucket list” items) with talented musicians who could bring a few of my songs (and a few interpretations of others) to life. A mutual musician friend referred me to Harry. In 2006 and again in 2007 Harry laid down the drum tracks for the CD, perhaps his last recorded work. Later that year, Harry was diagnosed with cancer that ultimately claimed his life in 2009. It is my regret that I didn’t complete the project until after his death, but I was gratified that I had the opportunity to work with him and capture his work for others to enjoy. Harry’s energy and enthusiasm for music and the recording process made the experience pure joy. 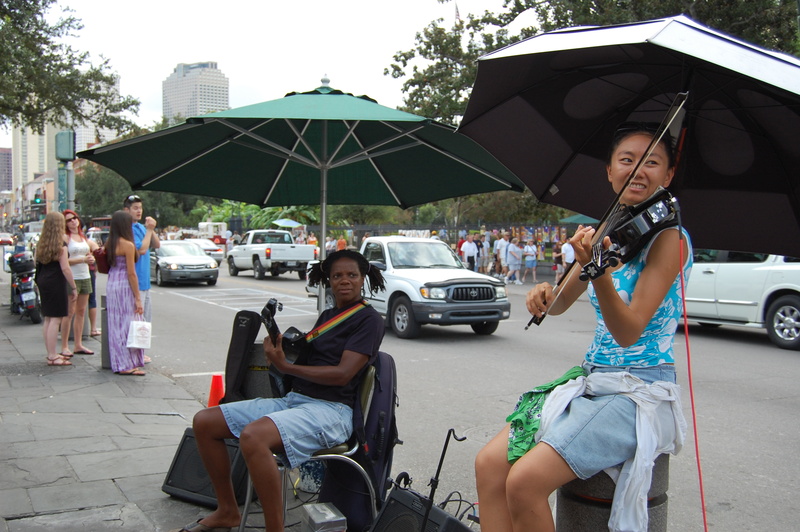 If you’d like to hear Harry’s work, here’s a free .mp3 download of one of the tracks entitled “City Soldier,” a tribute to the street performers that make New Orleans a unique and wonderful place to stroll on a sunny afternoon. What if you could build a school curriculum from the ground up with little or no bureaucratic limitations that hamper the effectiveness of many educational institutions? 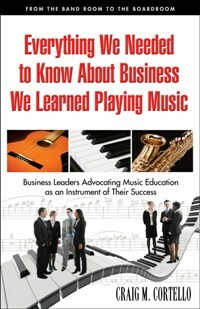 What if you were armed with the lessons learned from having successfully educated thousands of artists in a unique setting and could apply those lessons to a mainstream education program. That’s exactly the challenge that NOCCA has been presented. NOCCA refers to the New Orleans Center for Creative Arts, an advanced program for young prodigies of music and the arts for high school-aged youths in New Orleans. Wynton and Branford Marsalis, Harry Connick, Jr., Terence Blanchard, Nicholas Payton, Jeanne-Michele Charbonnet, and Wendell Pierce are some of NOCCA’s esteemed graduates. Students who are accepted attend their traditional school in the morning and attend NOCCA in the afternoon, where they receive focused instruction in an artistically centered environment. For years, the faculty and staff of NOCCA have felt as though they could be more effective if they had the students in this environment all day…and that’s just the opportunity that they will have starting in 2011-12. Applicants for NOCCA must pass an audition, and they anticipate roughly 150-200 applications for only 60 spots in the full-day academic program in year one. I wish Dr. McHardy and the faculty and students great success in the year ahead. Exciting times for a wonderful institution! Jazz clarinet legend Pete Fountain celebrated his 80th birthday yesterday. Pete had over 50 appearances on the Tonight Show, and was a favorite of legendary host Johnny Carson. 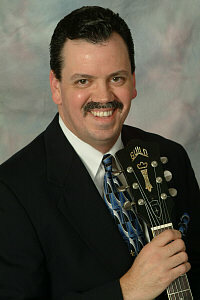 He has recorded about 100 albums. He lost many of the artifacts documenting his accomplishments in Hurricane Katrina, but he continues to perform. I had the pleasure of interviewing Pete in 2008 for Where Y’at magazine in New Orleans. 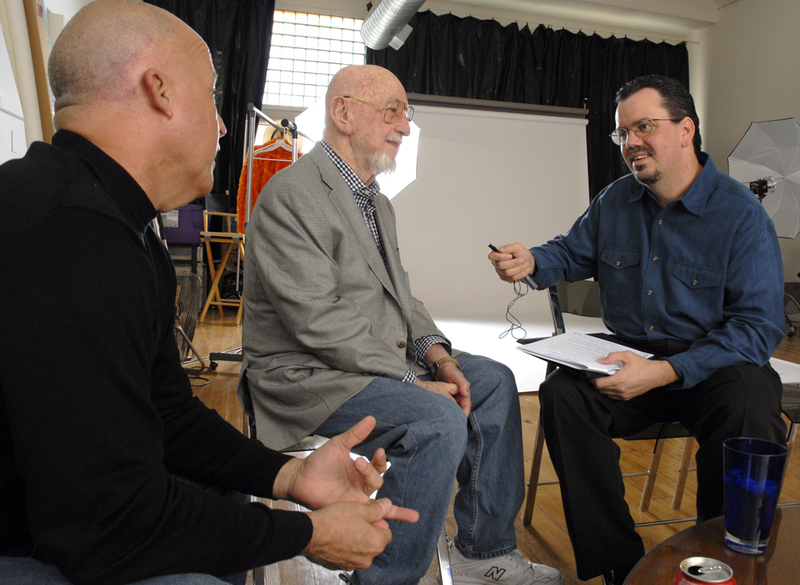 The photo here is of Pete and I from the interview, along with Pete’s son-in-law/manager Benny Harrell. 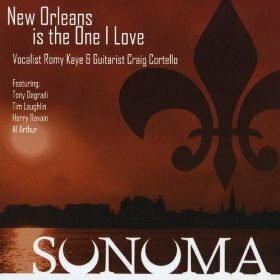 When Ms. Romy Kaye and I recorded our album New Orleans is the One I Love, Pete’s protegé Tim Laughlin recorded several tracks using a custom-made clarinet given to him as a gift by Pete, and it sounds extraordinary. “There’s no better clarinet player in the country now,” said Pete of Laughlin.